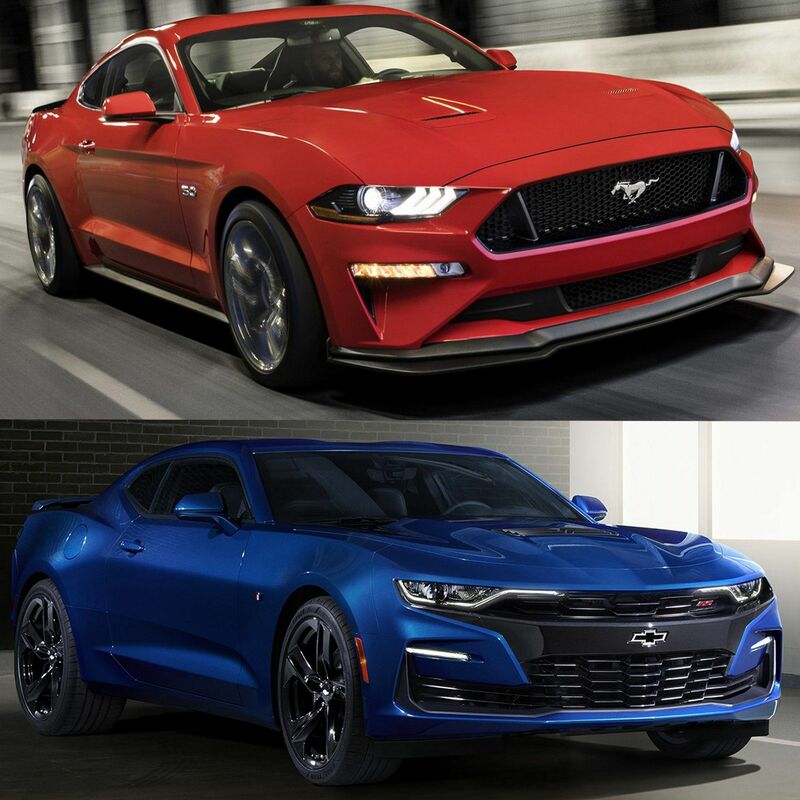 The Chevrolet Camaro and Ford Mustang are bitter rivals but they have plenty in common. 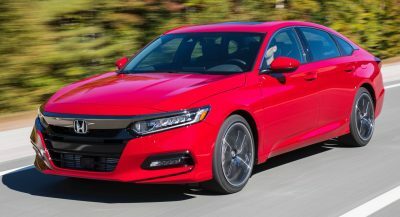 A quick check list reveals both are rear-wheel drive, both are available in coupe and convertible body styles and both offer four- and eight-cylinder engines. Both also received an unfortunate facelift. The Mustang was the first out of the gate as the company unveiled the facelifted model back in January of 2017. While the exterior styling changes weren’t too drastic, Ford’s design team managed to mess up one of the best looking Mustangs in decades. While styling is always subjective, this facelift is worthy of a malpractice suit as it gave the sleek and sporty looking model a face that’s difficult to describe over a year later. Putting the nit-picking aside, the Mustang received a revised grille, a new front splitter and a modified bumper with odd-looking air intakes. Designers also installed restyled lighting units, updated front fenders and a new hood. Thankfully the rear of the car was spared a similar treatment as designers mainly focused on creating new taillights and a redesigned exhaust system on the Mustang GT. 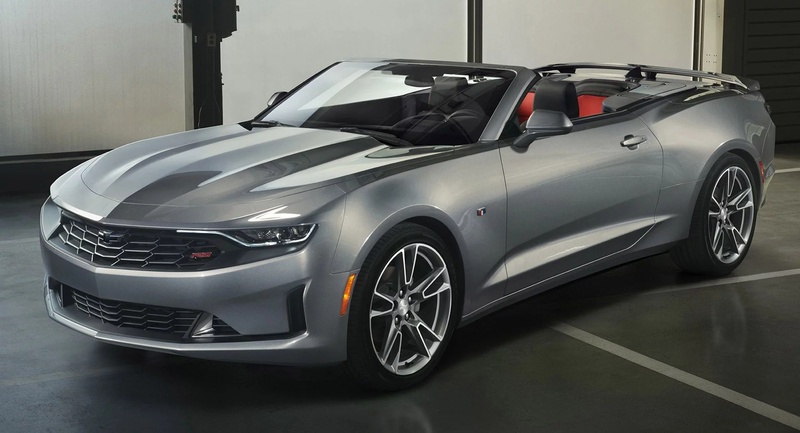 Meanwhile, designers at Chevrolet took years to decide it was time to give the Camaro a bolder design that didn’t feel like a facelift of a facelift. Unfortunately, their answer was to smash the Camaro’s face in. Unveiled earlier this week to a mostly negative response, the 2019 Camaro has a “performance-driven design” that the automaker calls “distinctive.” Chevrolet says the changes – which primarily revolved around changing the grille, front fascia and hood – were made to optimize air flow to either reduce drag or improve cooling. Designers also made a series of other changes but the modifications out back are fairly limited. They include a new fascia, eye-catching taillights and specific diffusers on RS and SS variants when equipped with the dual mode exhaust system. Both companies can point to a number of reasons to why they designed the cars the way they did but it’s important to note nobody buys a muscle car because they’re practical, responsible or produce slightly less lift than before. People buy them because they’re fun to drive and look good – occasionally. I am not a Mustang fan but if I have to choose it will be the Mustang. Damn you Chevy. Classic 60-70s cars…Camaro. Current modern models, no doubt Mustang. Can I take a Challenger instead? I’ll take the Challenger, please. And I’ll be merciful that they both pass me before I recognize their faces. Yeah! Me too.. Hope dodge keeps it like this for ever.. like a Jeep or a Porsche.. never change.. just subtle tweaks.. They will. No money for a new one. This current fat ugly thing will die with Dodge by 2021. Ford: We have launched the worst ever mid cycle refresh! They both look horrible, but those rear tail lamps on the Camaro give it the win for me. I’m not a brand whore and love Camaro and Mustang equally. But I would take both in pre-refresh models. The Mustangs facelift “makes sense” in person. Saw one on the road and it looked fine and aggressive. 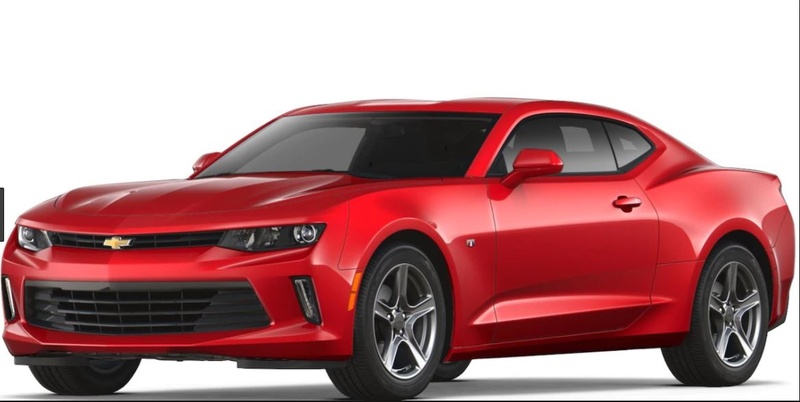 I am hoping its the same for the Camaro… I literally was just looking at one the morning they released the facelift images thinking that it really is a beautiful car… then this refresh. Smh. I guess I’ll have to see it in person because these pictures look really bad. And you get more power and equipment. I’m happy with my 2016 but the new one brings a lot more than a new face. Maybe the updates appeal to the 60 and up crowd that are the only ones interested in this segment. Have yet to see anyone younger than that in any version of any of the brands. I’m 60 by the way and own a ’16 GT however, at least around here, virtually everyone driving a late model Mustang is much much younger. I’m talking the 19 to 25 year old range. Same goes for Camaro and Challenger. It’s the Corvette and 911 that seem to have the most “older” drivers of the sporty class. I’m closing in on 50 and I agree. Agree 100%.. they are relatively affordable as entry level models so they make great affordable sports car.. see a lot of young guys driving them..
I’ll still have mine when I turn 60. Mustang by a million zillion miles! Getting myself a challenger though! Single family.. and I am not a redneck.. more like an artist type from miami.. I have 3 kids so need the extra space.. it’s between the challenger and the mustang right now.. all three can be hick stereotypes though..
Well, if you do get the (Al Bundy approved) Dodge, don’t specify the “dueling banjos” horns. 😉 I. Truth, you probably couldn’t get three rugrats in the Mustang’s back seat. I’ll get my two nephews back there for short drives but the Mustang’s no minivan. 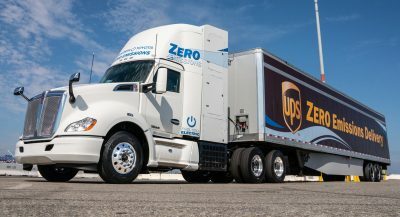 Both facelift were un-necessary, are not that bad… But the chey logo on the bumper is stupid and ugly, it works only on trucks. Always been ugly on cars. I thought they stopped that. So Mustang wins… but for no good reason. It’s like the facelift of the Charger, not worst, not better, just different. Has it ever not been the Mustang? The Challenger is better then both, especially the updated one that came out 2 years ago. This opinion only valid in the Appalachian region or areas where a thriving market exists in used house trailers. I was never a fan of the current Mustang’s looks, but it’s 1000x better than the face lifted Camaro. The Challenger is better looking than both of them, although that’s long past due for an upgrade itself. It’s funny how both the pre-facelift models of both Mustang and Camaro looked much better than the facelifts. Anyways, i’d rather have the Mustang. The new mustang IRL is really nice.. looks sportier and sleeker.. looks great imo.. The Mustang grew on me but the Camaro is still making me want to throw up. They fucked up so bad one of the most beautiful cars of recent time. I’ll go with a Challenger and navigate happily. 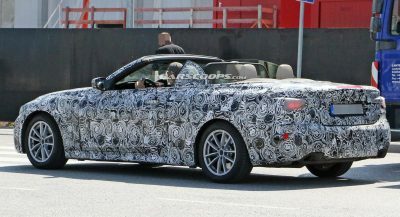 UNTIL THE CURRENT GEN (INCLUDING THE FACELIFT) I NEVER CARED FOR THE MUSTANG, BUT OF LATE I’D SAY DESIGN WISE IT’S COMPARABLE TO A 4 SERIES BMW. THE FACE LIFTED CAMARO IS A MESS SO FOR NOW IT’S MUSTANG. This is a pretty cynical take on the whole thing. Often I find that refreshes ruin a good design by forcing incongruous elements–most likely added by another designer rather than the original. However, in this case, I think BOTH are better looking than their pre-fresh counterparts. The one exception would be the taillights, which look worse on both cars. The Mustang’s adding needless extra angles, and the Camaro a perfect example of round elements on a car with no round shapes whatsoever. The Mustang inherited the GT350’s lower hoodline and (similar) grille, something that was desperately needed with the large central bulge. The headlights add a kickdown at their outer edges like most every Mustang ever, instead of angling up like the Camaro. Those headlights look incrementally larger as well, which helps balance out the gigantic grille, making things look more proportional. At the back, there is a new GT350-like wing which looks much better than the cheap Camaro plank, and dual-dual exhausts on the GT. I do miss the body color diffuser lip down by the exhaust, but the dual-dual setup would not have fit with that. I have seen a few in person, and they look much better than in photos. The Camaro has a much better retro face on the turbo-4 and V6 models. The large upper grille is both classic, and gets rid of the giant fish mouth below. The grille texture, offering a pleasant upward slope, along with nice layering of surfaces makes the front end look much more modern and expensive than the pre-fresh car. The rear bumper, previously a convoluted mess of extra surfaces is much cleaner, and the added lateral step through the license plate helps to cut the visual height down some. The cheap red CHMSL is now a smoked clear unit, better blending in with the trunk lid. The SS pictured above, I am a little less enamored with. The all-grille look is kind of a cop-out on actual design, as it is used from Audi to Toyota these days. However, with the black crossbar still exposed rather than hiding under fake mesh, I think it will read as more sinister in person. Yes, it does have a MOPAR vibe to it–but ultimately I think the market that buys high dollar muscle cars will respond positively to that sinister mask. Everyone will cry and moan any time that you mess with an icon like the Mustang or Camaro, but after a few years, I doubt anyone will be clamoring to go back to the old look. I can still remember people swearing off the C6 because “if it didn’t have pop-up headlights, it wasn’t a real Corvette.” It happens with every generation of Vette, but somehow each is better looking than the last. Updated Mustang is a slight regression, updated Camaro looks like a Chinese knock off. It seems like you have to rush out and buy a new model in its first year or you risk buying an uglier version. Car makers should stick to major overhauls every few years instead of these insane facelifts. I’ll need to see the Camaro in person first, especially the updated(?) Interior. The mustang’s imo has the better design inside while fit/finish, quality of plastics/materials are overall worse over chevys. And I’m no fan of chevys interior quality. I’m not a fan of the front of the facelifted stang but most of the Camaros new nose in pictures look bad. 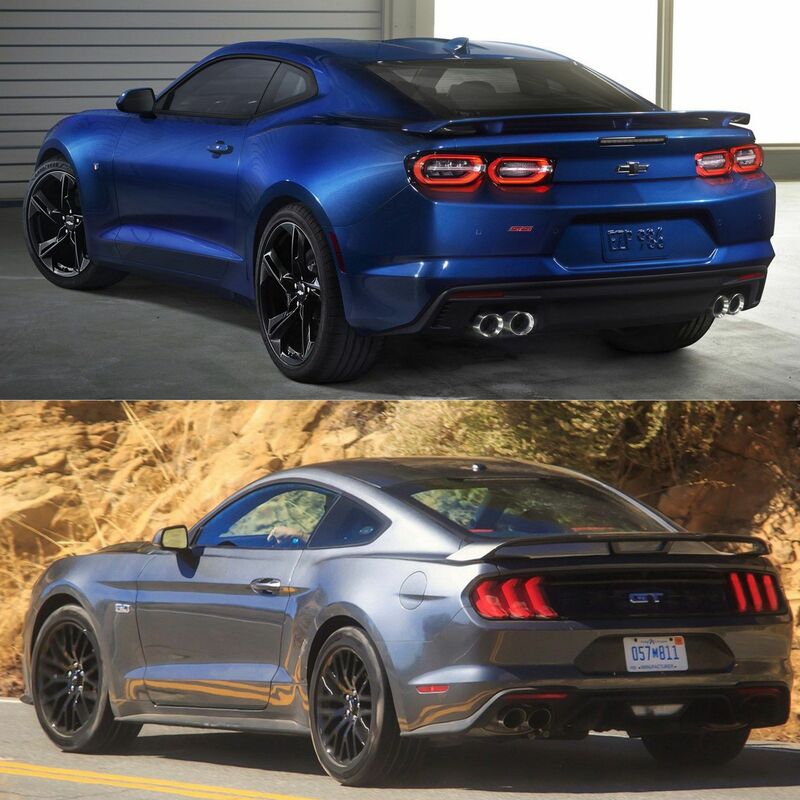 I do think the taillights of the Camaro will look better in person, just not as good as the stangs. Have felt the current gen Camaro always had a better street presence over the current mustang. I would probably still get the mustang gt if I needed to choose between the 2 for a daily. I could & would get used to the rearview /blind spots of the Camaro, I also really like the magnetic ride over the iterations of suspension of the gt I’ve driven. The mustang is cheaper and always seems to have better deals by a few grand which would sway me more in a real world scenario. Mustang all the way !!!! WOW Chevy really screwed up royally! Now, not only is the Camaro impossible to see out of, its even worse to look at. What a shame. As a muscle-car lover, I want them all to be awesome. Mustang? Well they did mess up the front end a bit. The intake are too angular and the headlights are too small. Also, the whole car is too big on the outside and too small on the inside. Either way, its leagues better looking than the better performing Camaro. The Mustang is the better looking car. By far. Sometimes, when you’re feeding a lot of people you need a big grill. “Both also received an unfortunate facelift”. Really? They really ruined the current okay looking camaro!! 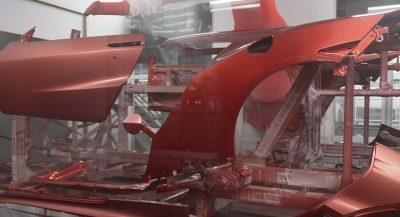 The front of the Camaro -both RS & SS, looks like the front styling clip is missing, exposing the basic structure of the frame and bumper. It’s as if the stylists hit their deadline, realized their work was unfinished and slapped the bow tie logo on the bumper beam and thought we wouldn’t notice. I predict an almost immediate do-over.